It takes advantage of the touch-screen interface, and introduces new disease content, features and functionality to the platform. The premium software solution includes: drug prescribing and safety information for more than 3,300 drugs, including pill pictures, peer-reviewed disease content and evidence-based differential diagnosis developed in conjunction with the BMJ Group, publisher of the British Medical Journal, infectious disease treatment guide with empiric and specific treatment recommendations, hundreds of diagnostic and laboratory tests for interpretation and diagnostic support, 600+ alternative (herbal) medications with drug interactions, MedMath medical calculators including commonly-used pregnancy wheel and unit conversions, and more. While a little pricey (between $149 and $249) for average consumers, this could become a must have for nurses and physicians. Epocrates has expanded its popular drug guide with new content and features, including disease information and a lab interpretation reference. View this demo by Dr. Hanh Le and see how the new Epocrates Essentials suite supports a clinical scenario. The availability of the Epocrates Essentials content on the iPhone provides clinicians with convenient access to the critical information they need all on one device right at the point of care. The suite features cross-linking between the drug, disease and diagnostic content and can be used to support a patients consultation from diagnosis to treatment. To purchase or for more information, visit www.epocrates.com. Could the iPhone Save Satellite Radio? Sources close to Orbitcast have revealed that Sirus is finally submitting their uSirius StarPlayr to the App Store this weekend. Once accepted, subscribers will be able to enjoy Sirius XM on their iPhone. Here's more from the Pew study, I linked to earlier. Internet users take part in different activities based on their age group. That's according to a report, "Generations Online in 2009" released by Pew Internet & American Life Project. Each age group, whether it's Generation Y or Baby Boomers, are all active on the Internet but do different activities. Generation Y, those between ages 18 and 32, comprise 26 percent of the adult population and 30 percent of the Internet-using population. Among the generational age groups, this is the largest. Generation Y is also the most social. This group is most likely to use the Internet to play games (50 percent); watch videos online (72 percent); send instant messages (59 percent); use a social networking site (67 percent); create a profile on a social networking site (60 percent); read a blog (43 percent); create a blog (20 percent); or visit a virtual world (10 percent). "Generation Y is the most well-rounded," said Susannah Fox, associate director at Pew Internet. "They are the most likely to have access to the most online technologies most of their adult lives. That means they probably can't imagine a world without these online activities. They probably never had a chance to form habits like older generations, and probably seems natural." Social networks are high on the list of activities of Generation Y, a trend cited in an earlier report released by Pew Internet. Generation X, defined as those between the ages of 33 and 44, share some similarities with Gen Y. Like Gen Y, people in this age group are likely to play games online (38 percent); watch videos online (57 percent); get job information (55 percent); send instant messages (38 percent); use social networking sites (36 percent); create a social networking site profile (29 percent); read a blog (34 percent); and create a blog (10 percent). Where those in the 33 to 44 age group stand out is in research. Yet, this cohort is more likely than Gen Y to get information on health (82 percent); buy online (80 percent); bank online (65 percent); or visit government Web sites (64 percent) than other groups. "Generation Y is most likely to have sampled most of what's available online, but generation X seems to be in a life stage that gives them the opportunity to use the Internet experience that they have," Fox said. "They're a pretty wired generation, plus they're at the point online where they're starting to manage some capital." The population between 70 and 75 years old has grown the most. In a 2005 Pew Internet study, 26 percent were online. At this time 45 percent of the age group is now online. "People are aging into this group," Fox said. "People are hanging onto their Internet connection through their life stages. We see the saturation start to seep into our older populations." E-mail is heavily used across all age groups, though Internet users ages 55 and older rely on the medium more heavily. Ninety percent of younger Boomers (ages 45 to 54) and older Boomers (ages 55 to 63) are equally likely to use e-mail online. The Silent Generation, defined as those between 64 to 72) uses e-mail (91 percent), while 79 percent of the G.I. Generation, ages 73 and older, uses e-mail. Search, watching videos, news, and travel are also universal categories across all age groups. "This report can give some nuance to the stereotypes we hold about generations and online activities," Fox said. "Some of these stereotypes hold true. It's pretty likely that teens with Internet access will go on social networking sites. It's also true that if you're in your 70s it's less likely you will have Internet access and will stay in the shallow waters of e-mail and search. Then there are those people in the middle, who are also doing interesting things." Pew Internet conducted a series of telephone interviews in August 2008 of adult Internet users to compile the data for the study. An estimated 17.7 percent of U.S. households rely on over-the-air signals to watch TV and would no longer receive broadcasts when the switch to digital TV service takes effect, according to a study by Mediamark Research & Intelligence. This report only confirms what we've already known, but skew away from email and to IM and texting is even greater for the narrow 12-17 age group. I really find myself using text messaging, IM, Facebook and Twitter quite a bit, but still heavily reliant on email. I think the key to getting a digital immigrant like myself using these "new" tools is making them easy to access and to use. For example, texting with the iPhone is as simple as it can get and the bulit in chat in gmail make chat a quick and easy way to communicate with someone. One of my favorite quotations in Grown Up Digital is the teenager explaining that he preferred to use some form of instant messaging rather than e-mail. He explained that e-mail was a more formal technology and is what he would use if he had to send a thank you note to a friend’s mother. So I’m not surprised that a new report from the Pew Internet and American Life Project shows that teens ages 12-17 use instant messaging more than any other age group. Fully 68 percent of this age group send instant messages, and youth 18-32 are just a bit lower at 59 percent. But after that the numbers plummet with increased age. Only 23 percent of older boomers age 55-63 used instant messaging. Only 73 percent of the 12-17 group uses email, which is a large drop from the 89 percent recorded in 2005. It is also the lowest use of any age group sampled. When I say “Net Generation” I’m referring to those born between the years 1977 to 1997. That means young people ages 12-32. But the Pew study broke this age group into two groups: 12-17 and 18-32. In a couple of cases the difference between the two groups is significant. While 78 percent of the 12-17 group play games online, this number drops to 50 percent for those 18-32. But 72 percent of adults 18-32 watch videos online, while the number drops to 57 percent for 12-17. Otherwise the numbers are fairly similar for activities such as using social networking or downloading music. Today, M-Lab is at the beginning of its development. To start, three tools running on servers near Google's headquarters are available to help users attempt to diagnose common problems that might impair their broadband speed, as well as determine whether BitTorrent is being blocked or throttled by their ISPs. These tools were created by the individual researchers who helped found M-Lab. By running these tools, users will get information about their connection and provide researchers with valuable aggregate data. Like M-Lab itself these tools are still in development, and they will only support a limited number of simultaneous users at this initial stage. 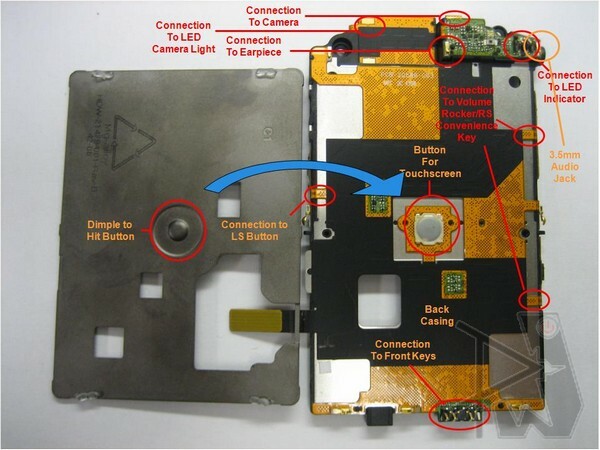 Great picture of the Blackberry Storm internals. This story gives a real sense of just how competitive the smartphone market is. If the data from iSuppli is correct, RIM is making only $4 on each device. I think the $199 price for the 8GB iPhone 3G has sort of dictated pricing for competitors. 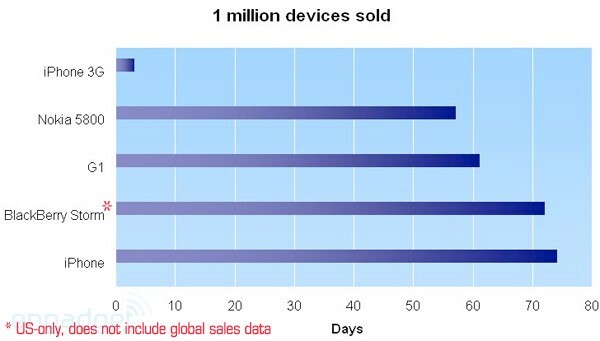 Another story, below, shows how long it took to reach the 1 million devices sold milestone for various handsets. In a fiscal climate where profit margin reigns intensely supreme, we've got yet another dollop of bad news to heap upon the parfait of pain that is the $199 (after $50 mail in rebate) BlackBerry Storm. Research firm, iSuppli, estimates that the cost for the components and assembly of RIM's BlackBerry Storm are just shy of $203 -- an estimate that does not include software development and uh, bug fixing costs or those attributed to patent licensing, physical distribution, marketing or anything else in the product lifecycle. The most costly component is the $35 Qualcomm MSM7600 processor that gives the Storm its dual GSM / CDMA personality. The image demonstrates the speed (in terms of days) at which each competing handset achieved the magic milestone. I'm a big fan of cloud computing. I think we've reached the point where the technology is there - hardware, software, and network bandwidth - to make cloud computing viable and mainstream. This is an intriguing idea - having a government-funded computing cloud, but I think many of the tools and resources are already available, most for free. I'm not sure what's to be gained by having the government build the cloud. Frankly I trust Zoho or Google to get this accomplished more than I do the Federal government. There's nothing that would prevent faculty from small institutions with using existing tools to connect with colleagues around the country and the world. I propose you create a government-funded computing cloud for use by all colleges and universities. Such a resource would level the academic playing field. Researchers toiling at thousands of smaller institutions would have access to computing power currently available only to a handful. We cannot predict from where the next great innovation will come, but public cloud computing would dramatically improve our collaboration and innovation as a nation. Despite recent growth trends in college and university enrollments, retention and graduation rates remain stagnant. We need to do better! Despite piles of research showing what works in raising retention and graduation rates, more emphasis on the need for college graduates, and new instruments to measure student engagement, ACT published data yesterday showing we still lose about a quarter of college students after one year and only manage to graduate about half of our students in five years. These are nearly identical to the rates of twenty years ago. Over a period when enrollment increased more than twenty percent, it is the failure of our nation's colleges and universities to increase student retention and graduation rates that are causing our higher education stagnation. This story is interesting for a couple of reasons. First is Palm's use of Facebook to connect with customers and potential customers. Second is Gizmodo's strange criticism of the Palm Pre for only having 8 GB of storage and no replaceable storage - a la a MicroSD slot. The iPhone, earlier and 3G were both available with only 8 GB with no expandable storage and Apple has sold a ton of those - some are saying nearly 17 and a half million iPhones. Not a deal breaker for me - even though I chose the 16 GB iPhone. Palm's Matt Crowley explained the Pre's unfortunate lack of a MicroSD(HC) slot as a choice based on the confines of the Pre's hardware. This omission might be a deal-breaker for the media-centric crowd. Crowley is currently holding an open chat on Facebook to answer any questions people might have, although it's heavily selective. Among the questions Crowley won't answer: how intrusive is the multi-platform personal information program Synergy going to be? What about the lack of desktop synchronization, or cloud storage? But he does take a crack at a question on MicroSD expandability. ‘Design' was the highest goal on the Palm Pre project. The phone has to look and function great in the hand and up against the face on a call. The decision to include or not include expandable storage is an easy one when design is the highest priority. The physical size of the device would have been compromised if we added another physical component to Pre. Just a millimeter can seriously impact the curvature of the design in a way that minimizes the design intent. We wanted to maintain a slick curved slider design without building out too much thickness. When you look at the two parts of the product and see how thin they really are, you may be amazed that we were able to fit everything in. And yes, all the stuff does fit. The other advantage of embedded memory is that you have a large amount of storage out of the box for media and files. Including 8GBs of storage on the phone is a large amount of storage for many people, but not all. Yes, not all. We know that not everyone will be happy, but that is one of many decisions that needs to be made. We really like the Pre, but 8GB is just not enough these days and given the Pre is thicker than certain competitors, it seems there could have been a way to fit in a slot for expandability or at least double the embedded storage. Crowley's excuse seems kind of lame, but the Pre was never presented as a multimedia-focused phone. What do you guys think? Is only including 8GB a mistake on Palm's part, or will the mass public not care? Great quote from Will Richardson's blog. I'm a member of Classroom 2.0, a social network comprised of educators interested in shaping the future of teaching and learning. It's a great network of educators built on top of ning, a site which allows users to create their own custom social networks. It's great to find like-minded educators trying to transform their classrooms into classroom 2.0. Here's an announcement from the group on a live webinar tomorrow at 9am EST of Tom Friedman speaking to the students at the Flat Classrooms Conference in Doha, Qatar. If you're up early on Saturday morning, this might we worth checking out. Our kick-off event tomorrow (January 24th) for Future of Education will start an hour early in order to "simulcast" remarks being made by Tom Friedman, author of The World is Flat, to the students at the Flat Classrooms Conference in Doha, Qatar. More details at http://www.futureofeducation.com/forum/topics/the-flat-classrooms-debate. 7am Pacific / 10am Eastern / 3pm GMT: Flat Classroom Debates begin (international times here). Location: In Elluminate. Log in at https://sas.elluminate.com/m.jnlp?sid=2008350&password=M.3969DF972F394F21CAF665EF3F3896. The Elluminate room will be open up to 30 minutes before the event if you want to come in early. To make sure that your computer is configured for Elluminate, please visit http://www.elluminate.com/support. Video, audio, and chat recordings will be posted at the Future of Education community after the show. I run Parallels 4 on my MacBook, in part because I still use software that only runs on windows and also because I teach a variety of operating systems and have to keep myself current. I've been running Windows XP, Vista, and Fedora Core, and recently just installed Windows 7. I've also used Parallels to install and experiment with image files from a number of live Linux distributions. Parallels is great because I can take a snapshot, experiment with new features, break the OS and return to the snapshot. Tools such as Parallels, VMWare, and the less powerful VirtualPC are great teaching and research tools. It's not uncommon to install new service packs in a virtual environment, test them there, and if things are working roll them patch or service pack out in a production environment. 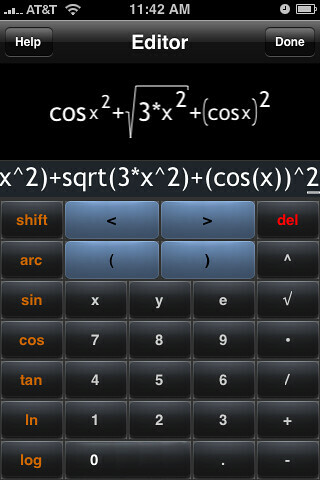 Here's a screenshot from a new free iPhone app from Parallels. Right now it only allows you to start, stop, or suspend an OS. Hopefully this app will continue to improve, allowing you to zoom in, and run applications - essentially a remote control for the virtual OS. Here's a quick 90-second trailer from an upcoming (Spring 2009) documentary on design. If you're interested in creativity, innovation and design, this looks like it will be a great film. Great opportunity to get inside the head of designers like Apple's Jonathan Ive. Also, an interesting approach to supporting a documentary film - a self-published website, a online shop of film-related items and the potential to create an online community of "Objectifiers." Here’s a higher-quality Quicktime version. We’ll be releasing the preliminary screening schedule soon, so subscribe to our newsletter or our RSS feed and we’ll keep you posted. Support the film! Buy something or become an Objectifier. Glad to see confirmation of this. Really great to see a President that not only gets technology, but uses it. At Robert Gibbs' first press conference as President Obama's Press Secretary, the most important and heated debate of our time has been put to rest. According to Gibbs, Obama will be able to keep his BlackBerry, though only a limited number of senior staff and personal contacts will have access to his email address, and the data on the handheld will be subject to the Presidential Records Act. There was no mention of the NSA or the Sectera Edge, though he does mention some enhanced security. Great visual from artists Thomas Fuchs and Felix Sockwell making use an simple icon and a series of iterative changes. I've installed Windows 7 on my MacBook. I have it running as a virtual machine inside Parallels. I'm still playing with it and trying out different applications and add-ons. 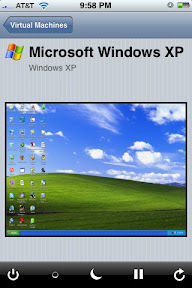 I also have Windows XP and Windows Vista on my machine - yes it's crowded (I have Linux too!). Anyway my first impressions of Windows 7 are pretty positive. It runs better and manages memory better than either XP or Vista. It's not perfect, but a significant improvement over Vista. If you or your institution or organization is still running Windows XP and trying to decide which upgrade path to take, I would advise waiting until 2010 for Windows 7. Technology Review: "Vista That Works"
One week after Microsoft began offering preview downloads of Windows 7 at the Consumer Electronics Show (CES) in Las Vegas, experts are generally optimistic about what they're seeing. The full release of the new operating system isn't planned until 2010. But the software giant seems to be hoping that the preview release will allay the concerns of Windows users who were unwilling to switch from Windows XP to its troubled successor, Vista. Vista, which was released in late 2006, met with some bad reviews and sluggish adoption in the business world. Forrester Research reports that by June 2008, only about 9 percent of its clients had switched to Vista. Microsoft went on selling XP months longer than it had planned. Now, the company is promoting Windows 7 as a response to user feedback. Windows 7 features a few changes to Microsoft's familiar user interface. Buttons for open windows no longer appear along the bottom of the screen. In their place are larger icons representing active and frequently used (or user selected) programs. When a user hovers the cursor over the icon for an active program, preview thumbnails of the open windows pop up, and the user selects the one that she wants. Certain cursor movements also trigger common changes to windows. Dragging a window to the top of the screen maximizes it, dragging a window to the side snaps it in place so that it takes up half the screen, and dragging the cursor down to the right-hand corner of the screen makes all the open windows transparent so that the user can see down to the desktop. Microsoft also says that it has made it easier for users to create home networks, and that Windows 7 makes better use of resources than Vista did. The system requirements are similar to those for Vista Home Premium, but early reports say that Windows 7 manages memory better and runs faster. Great video from Will Richardson, not only because he provides a great summary of activity on Twitter after plane crash into the Hudson, but also because he's using Prezi.com to create the video. If you're not on Twitter yet, what are you waiting for. And give prezi a serious look. Playing around with Prezi.com here but also trying to capture what I think is an interesting shift in the way we learn about, gather and share news these days. Comments on form and content both welcomed. This is freaky! The transformation of two stellated rhombic dodecahedrons from a cube. Report: Is the Web as Dangerous as We Think? Don Tapscott provides some interesting snippets from Enhancing Child Safety and Online Technologies, a report from the Internet Safety Technical Task Force. In addition to the lengthy report, there is an executive summary available, as well as a podcast featuring an interview with John Palfrey, chair of the Task Force, and Dena Sacco, one of its co-directors. a new 278-page report this week suggests that such concerns are often exaggerated, and that such myths “distract the public from solving the actual problems youth face.” Indeed, it’s youth bullying one another that poses the biggest threat to the well-being of youngsters online and offline. The widely-anticipated report is from the Internet Safety Technical Task Force, comprising non-profit organizations, academics, researchers and technology companies. ‘It doesn’t look like just because kids are more accessible on social networking sites, that poses a lot of risk,’ said David Finkelhor, director of Crimes Against Children Research Center at the University of New Hampshire, who helped prepare the report. Is Twitter the New Eyewitness News? There's a lot of chatter about twitter and friendfeed as the real-time web. Recent events seem to bear that out. Ian Lamont, Managing Editor of The Industry Standard, tracked how quickly the story had been covered by regular news outlets. Less than two hours ago, A US Airways jet made a water landing on New York’s Hudson River, shortly after departing from La Guardia Airport. I found out about it via a Wall Street Journal e-mail alert that was sent out at 3:52 in the afternoon, about 25 minutes after it happened, and immediately checked my regular breaking news sources. Nothing on Google News. CNN.com had a brief story that repeated the details of the WSJ alert, and a grainy screen capture from a local television news report, showing a partially submerged plane surrounded by boats. I followed the link through to the ABC affiliate but there was no live video or even an older video report. But this is where it gets interesting. There was more Twitter information, too. Plane-related tweets accounted for eight of the ten top ‘trending topics’ (Hudson River, MSNBC, US Airways, LaGuardia, etc.) Clicking through to them led to reaction of thousands of concerned people, and brief updates from some of them about what had happened, including references to reports that everyone had survived, and officials believed a flock of birds had been sucked into and disabled two of the plane’s engines during takeoff. Of course, the New York Times followed in a few hours with different angles to the story, such as the credentials of the pilot who made the extraordinary landing and the mechanical history of the aircraft in question. The Times added essential context and background that we expect from good news organizations. But increasingly the general public, and youth in particular, will turn to services such as Twitter for immediate first-hand accounts of incidents involving or being witnessed by many people. Great online resource, from the Library of Congress, focused on Booker T. Washington, one of the most important and prolific scientists in American history. The digital collections of the Library of Congress contain a wide variety of material associated with Booker T. Washington, including manuscripts, photographs, and books. This guide compiles links to digital materials related to Booker T. Washington that are available throughout the Library of Congress Web site. In addition, it provides links to external Web sites focusing on Booker T. Washington and a bibliography containing selected works for both general and younger readers. In my post iPhone Tricks - My iPhone Can Differentiate, I forgot to mention that DSolver is available from the app store for 99 cents. Just saw a television commercial for this service. I guess companies do still advertise on TV. ooVoo is a free service (available for Mac and PC) which enables users to talk face-to-face with up to six people. You add links to your blog and other online profiles. Haven't tried it out yet, but interested to see how this compares to say Skype video. ooVoo is the next evolution in online communication — a remarkably easy way to have a face-to-face video chat with friends, family or colleagues, no matter where they are in the world. 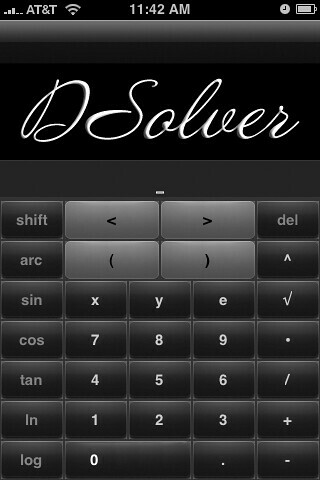 Here's a great iPhone app that I stumbled upon called DSolver. 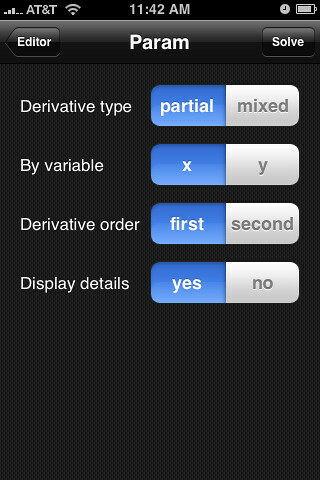 DSolver is an application that allows you to enter an equation and then perform differentiation on the expression - either 1st or 2nd derivative. Not as full-featured as desktop software, such as Maple, Macsyma, or Mathemtica but pretty impressive nonetheless. Now I just need an integration app! 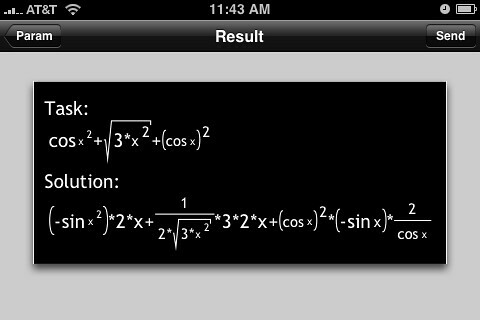 Here's the equation entry screen, allowing you to input virtually any equation. Here's an equation I entered in the editor - just a random equation here, nothing significant or earth-shattering. Clicking done takes you to this screen. You can pick partial or mixed derivative, derivative variable, 1st or 2nd derivative, and whether or not to display the solution details. 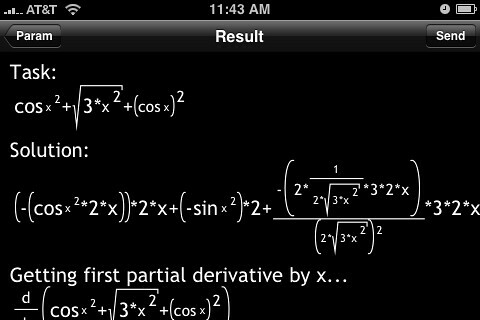 Here's the result, showing the original equation and the resulting derivative - 1st in this case. Here are the details of the solution. This is really cool. If UStream gets approved in the iPhone app store, it will be a killer app for the iPhone. Imagine being able to stream live video from the iPhone. There goes my battery - sigh. This is very strange, but intriguing. I've watched the video three times already - why, I'm not sure. Very troubling report about the increasing cost of college and where the money is going. I've highlighted the key takeaway down at the bottom of the article. Everyone knows that college is getting more expensive, but it’s easy to get lost in the vagueness of that general knowledge and lose track of exactly how expensive, how that rate of change is changing, and (in particular) where all those additional dollars go. Fortunately the good people at the Delta Cost Project have taken the time to analyze vast amounts of revenue and spending data submitted by colleges to the U.S. Department of Education and report their findings, which were released today. Among public institutions, sticker prices routinely increased less than gross tuition revenues. This happens because more public institutions are using differential pricing to capture greater increases in tuition from students other than in‑state undergraduates. These higher tuitions can come from out‑of‑state students and international students, or from professional schools such as business, law, and engineering where full-cost pricing is increasingly common. Institutions are also turning to user fees to fund many functions (e.g., technology fees), which have become a significant source of revenue. This means that focusing on sticker price increases alone understates the real impact of price increases for many students. One could argue that price increases aren’t necessarily bad for students if the money is used for things that benefit students, like education. But it turns out that’s not happening either. At the same time that tuition jumped 29.8 percent at public research institutions, education and general spending per FTE student increased by only 2.5 percent. At public master’s institutions, which imposed a 29-percent tuition jump, spending on education declined by 2.1 percent. Many students are spending more and getting less. The report then puts these two sets of numbers together to calculate the student share of costs for education and related expenditures. In 2002, the ratio was 39 percent at public research universities. By 2006 it had jumped to 49 percent. Same thing at public master’s institutions: 36 percent to 46 percent, in just four non-recessionary years. That’s a scary trend. Education expenditures as classified under the federal reporting system, moreover, include the total costs of professors’ salaries. Since many professors spend only part of their time teaching, these numbers significantly understate what students are paying for the educational services they receive. In other words, if you’re a college student and you feel like you’re getting a raw deal, you’re probably right. And if you’re a college professor who feels the same way, you’re probably right too. California Governor Arnold Schwarzenegger is tweeting his State of the State address. You can find find and follow him at schwarzenegger. I wonder if President Obama will be tweet his State of the Union addresses or maybe even the inauguration. Some great advice from Cory Doctorow on writing. In fact, I think this could easily be title Working in the Age of Distraction. I've only included the bullets in the article, so click through to read the full text of Doctorow's advice. We know that our readers are distracted and sometimes even overwhelmed by the myriad distractions that lie one click away on the Internet, but of course writers face the same glorious problem: the delirious world of information and communication and community that lurks behind your screen, one alt-tab away from your word-processor. The single worst piece of writing advice I ever got was to stay away from the Internet because it would only waste my time and wouldn't help my writing. This advice was wrong creatively, professionally, artistically, and personally, but I know where the writer who doled it out was coming from. Every now and again, when I see a new website, game, or service, I sense the tug of an attention black hole: a time-sink that is just waiting to fill my every discretionary moment with distraction. As a co-parenting new father who writes at least a book per year, half-a-dozen columns a month, ten or more blog posts a day, plus assorted novellas and stories and speeches, I know just how short time can be and how dangerous distraction is. But the Internet has been very good to me. It's informed my creativity and aesthetics, it's benefited me professionally and personally, and for every moment it steals, it gives back a hundred delights. I'd no sooner give it up than I'd give up fiction or any other pleasurable vice. I don't claim to have invented these techniques, but they're the ones that have made the 21st century a good one for me. 5. How will ‘validated learning' be enforced among the nation's colleges and universities? 4. How will new federal and state regulations affect internet safety education in schools? 3. Who will be Kevin Martin's successor as chairman of the Federal Communications Commission, and how will this change affect telecommunications policy in 2009? 2. Will the transition to digital TV broadcasting next month occur seamlessly--or will schools experience any problems? 1. How will education fare under the Obama administration? If you think multiple choice tests are only good to assess how well students memorized facts, it may be time to rethink your testing strategy. Although they are not appropriate for every situation, when properly developed, multiple choice tests can used to assess higher levels of thinking, including application and analysis. In the recent seminar, Developing Tools and Strategies to Assess Student Learning, Linda Suskie, vice president of the Middle States Commission on Higher Education, dispelled some of the myths about multiple choice tests and provided strategies for mitigating the issues that have caused this type of testing to fall out of favor with some educators. “The two precepts for writing good multiple choice items is to remove all barriers that will keep a knowledgeable student from getting the item right, and remove all clues that will help a less-than-knowledgeable student get the item right,” says Suskie. Don’t make vocabulary unnecessarily difficult. Make sure the “stem” (question) asks a complete question. Don’t ask questions about trivia. Avoid grammatical clues to the right answer. Make all options roughly the same length. Use common misconceptions or stereotypes as incorrect options. Repeat keywords between the stem and the incorrect options. Use interpretative exercises to get away from rote learning. One of the advantages of multiple choice tests is that they provide a fast and easy way to not only measure student learning, but to identify problem areas as well. Once the test is graded, review the results and throw out any items that 50 percent or more of your students got wrong, says Suskie. It is likely there was something wrong with the question, or the way you taught the concept. Interesting story on the growth of Gmail. While I'm a big fan of Gmail, I think the numbers (43% versus 11%) and the chart (shown above) are a bit deceiving. Maybe more than a bit. Based on the numbers in the article, we're looking at raw growth numbers of roughly 10 million for Yahoo and just under 13 million for Gmail. So at the pace both services are growing - Gmail gains 3 million more users per year - it would take Google 20 years to catch up to Yahoo. Notice in the chart that Yahoo isn't even shown. If it was, we would really see the huge gap between Gmail and Yahoo. Of course if Yahoo starts to see a serious decline and the trend continues for Gmail then we could see the two curves above converging much faster. Google launched Gmail only four years ago, and it is now the fourth most popular e-mail service on the Web after Yahoo Mail, AOL Mail, and Windows Live Hotmail. In 2008, it saw some serious growth in the U.S. Google doesn’t break out the number of Gmail users, but comScore estimates unique monthly visitors. According to the latest stats, the number of people visiting Gmail grew 43 percent last year to 29.6 million. In contrast, the much more massive Yahoo Mail grew 11 percent to 91.9 million uniques. AOL Mail finished in second place for the year with 46.6 million uniques (plus another 7.2 million visitors to AIM Mail), while Hotmail actually declined 5 percent to 43.5 million. How can Gmail keep growing at such a fast rate, when the other email services seem to be stagnating? Maybe it’s because Gmail is evolving at a faster rate. Disappointing results from this e-book pilot. Seems the primary limitation was the devices' lack of interactivity. Glad to hear that they're not giving up. Strange that the Dean interviewed is a devoted fan of the Amazon Kindle , but they chose the Sony E-Book reader for the pilot. I wonder if the best device for this purpose might be somewhere between a Kindle and iPhone - maybe a larger form factor iPhone. Several students at Northwest Missouri State University recently traded their printed textbooks for Sony’s e-book reading devices, which came loaded with assigned texts. But the students quickly discovered that the gadgets have limitations. In a pilot program during the fall semester, about 240 students were loaned Sony Readers, and university officials contracted with McGraw Hill to provide electronic textbooks for four courses. Students were initially fascinated with their readers, said Dean L. Hubbard, the university’s president, but they soon became frustrated with the devices’ limited interactivity capabilities — which made it impossible to highlight passages, cut and paste text, or participate in interactive quizzes. “This is a tremendous attention getter; it’s not as good an attention holder,” said Mr. Hubbard of the Sony Reader. But Mr. Hubbard added that he thinks similar devices will be extremely popular in the long run, once their features have improved. This semester the university will continue to experiment with electronic textbooks, but it will deliver them primarily through laptops, rather than dedicated e-book devices. (The institutions requires students to have laptops.) About 500 students will try out electronic textbooks, and an additional 3,000 students will have access to them. Laptops provide more interactivity than the Sony Readers, Mr. Hubbard said, because they let students participate in interactive quizzes and allow professors to add material to textbooks as needed. A small group of students will also test out a new version of the Reader, which Sony says will offer increased interactivity, according Mr. Hubbard. Northwest Missouri State currently spends about $800,000 a year on its rental textbook program, which allows its students to acquire books at a fraction of the cost of buying them, Mr. Hubbard said. Switching to electronic textbooks could shave as much as 50 percent off that figure, he added. Mr. Hubbard himself is a devoted fan of the Kindle e-book reader, sold by Amazon, and he has pledged never to read a non-electronic book again. He said he is optimistic that electronic textbooks “will catch on like prairie fire,” especially once students, professors, and administrators realize how much money they could save by using them. wePapers is an interesting idea. They bill themselves as creating the world's biggest study group. You can upload and download notes, presentations, articles, etc - virtually anything you'd like to share. 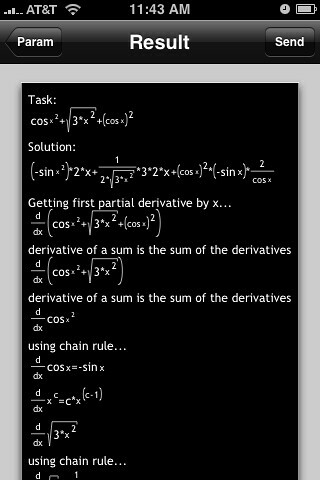 Here's a link to a Common Derivatives and Integrals cheat sheet. Pretty nice - typeset, 4-pages; seems pretty comprehensive at first glance. You can even embed documents (see below) - great for an online or hybrid course. This will be pretty handy for my Dynamics class this semester. If our documents, our classes, virtually anything you can think of is going into the cloud, why not study groups. I love it! WePapers helps students and others share and expand their knowledge. You can find and download the papers and documents you need in a matter of seconds, discuss them with others, or just mess around. Friend and colleague Ann Blackman and I have been working together for a few years now through our connections with the National Center for Information and Communications Technologies and the Convergence Technology Center. Ann and the people she works with at the CTC are great to work with. Ann and her husband Scott are early adopters - the whole family stood in line to become iPhone 3G owners and they are active bloggers at Blackmans on the Web (log). I guess a family that blogs together stays together. "my worlds have collided ;-)"
Not sure I understand this story. In spite of the economic downturn, WiMax enjoyed record revenues for the 3rd quarter of 2008 and analysts expect another record for the 4th quarter. That said, they expect the industry to be hit hard by the economic downturn in 2009, with network buildouts put on hold or delayed. It's almost as if they can't believe the 2008 numbers and are waiting for the bottom to drop out. While most industries struggled this past year with growth under the weight of a sagging economy, worldwide mobile WiMAX infrastructure revenues nearly quadrupled in the third quarter of 2008 over the third quarter of 2007, according to a new study. ‘Mobile WiMAX revenues were very strong in the third quarter of last year, and we anticipate revenue for the fourth quarter to set another record,’ said Scott Siegler, senior analyst of Mobile Infrastructure research at Dell’Oro Group. However, says Siegler, in 2009 WiMAX market to be hit rather hard by the economic downturn. Building out brand new networks from scratch requires tens, if not hundreds, of millions of dollars of capital. Is this an indicator of just how bad the economy is? If a company and brand as strong as Sony is struggling, what do the small startups with very little cash and even kess brand equity face. There are plenty of directions to point fingers: trying to be a premium brand in a weak world economy, a strong Yen (harder to export) or difficulties in making the PlayStation 3 profitable, but whatever the cause, it looks like Sony lost $1.1 billion last year, the company's first practical loss in 14 years. Very interesting conversation. Well worth the watch. Seth Godin hosts a conversation with Facebook co-founder Sean Parker and Wikipedia founder Jimmy Wales to find out what they know about social networking, branding and online marketing on OPENForum.com's "Inside the Entrepreneurial Mind" series. The takeaway — your business doesn't need to reach the entire world online, just those that want to buy your product. It's interesting to see the approach Toyota is taking with their hybrids. Rather than a full-scale dive into a new paradigm - in this case solar, they are innovating incrementally. Compare that to GM's efforts on an all electric car - the Volt. It's not clear that batteries and other required technologies are developed enough to allow GM to produce a practical, inexpensive electric car. Consider, for example, this NY Times story about a congressman driving a hydrogen fuel cell car from Corning NY to Washington, DC. Doesn't give me much faith that we're going to have cars running on hydrogen anytime soon. Toyota could have tried to move to an all solar-powered car, but the technology is just not ready. I'm sure they're working on it and have some prototype, but rather than try to shove it into consumer vehicles today, they are doing what they can with solar today. So in 2010, solar panels will provide some energy for air circulation and the car will run for one mile on battery only. Maybe in 2011, the car will run on battery alone for 10 miles and the solar panels will circulate air and defrost the windows. And in 2012 a little bit more. This sort of incremental approach is a much more reliable, real-world way to move technology forward. The lesson here is whatever you're working on doesn't have to be a flash of innovative genius, but instead move the work forward with incremental improvements to achieve long-term innovation. 2010 Toyota Prius has made its official debut at this week's Detroit Auto Show. The company estimates it'll have a 50 MPG rating -- up from 46 MPG in the previous model -- and there's a bigger, 1.8-liter four-cylinder engine for improved highway mileage. In addition to Power and Eco driving modes, EV Drive will let you run on battery alone for about a mile, which if nothing else should provide a little extra push for getting to the gas station when you've held off for too long. One of the coolest (literally) new features is the optional solar panels in the moonroof that will generate power for circulating air and keeping the interior temperature from going too high. If that's not enough, there's a remote-controlled A/C system that can run on battery alone and lets you set the temperature before you get in. Nice year-end list of best iPhone apps. Click the link to read more on each. Which are your favorites? And apparently Johnny's mom and dad can't read either. Very disturbing data. A couple interesting ideas on enhancing online learning. Tutors - robots that can read whole text books in two days then paraphrase the material in simplified terms. You might think this will reduce learning to a mere 'couch potato with headphones' experience. Not so, says I. This would in fact speed up the learning process, allowing students to grasp more knowledge in a shorter time frame, and even broaden their knowledge base. I appreciate the availability of eBooks, but I sure could use some help understanding the 20 chapters on research methodology. Essentially, I want to learn everything I can, while still having time to relax and enjoy my favorite movie or go shopping online. Studying is important, but let's have some fun with it. Five brief videos showing the Palm Pre, with some Q and A. Interesting user interface. Worth watching. We had an opportunity to sit down with Palm’s Peter Skillman, VP of design for the company, to do an in-depth video walkthrough of the Palm Pre’s most compelling features, including the deck-of-cards-like UI that lets you re-arrange apps with ease; Synergy technology for contacts, e-mail, and messaging; non-obtrusive notifications; and universal search. When the cameras were off Peter was nice enough to answer a lot of burning questions we had. Universal search, as of today, does not work with e-mail. We asked whether this functionality could extend to partners other than Google, Wikipedia, Google Maps–like Amazon’s music store–and were told that Palm is working to extend universal search with other partners. Amazon will be the music store provider, no Sprint, but Palm was unable to confirm if downloads will be permitted over EV-DO and Wi-Fi. We’re assuming yes. Sprint will offer its TV service for the device. Flash support is not promised for the browser. However, give the fact that Palm’s VP of software marketing Pam Deziel used to be at Adobe, many have their hopes up. We asked whether Palm will have something similar to HotSync for those who want to be able to sync directly with Outlook via USB, but Palm can’t confirm if this ability will be enabled. If not, it’s always easy to sync Outlook with Google Calendar on your desktop and then just do everything in the cloud. It’s not yet clear how users will be able to add others’ calendars and whether you’ll be able to do this directly from the Pre, but we assume you will be able to. Can’t get enough of the Pre? These videos should tide you over until Sprint officially pulls the trigger. Forget all the Pogues and Mossbergs of the world. If you really want to get an honest assessment of technology, put it in the hands of a kid. I have proof from an expert that the iPhone interface really is better. Who's the expert? My 3-year-old son. Over the years, I've seen countless newbies struggle to use the latest gadget, computer, or software. I like new technology, but it's been work hauling myself up learning curves. But I'm convinced that after years stuck with only modest tweaks to the WIMP interface--windows, icons, menus, pointing device--real change is upon us. That's chiefly because the pointing devices now can be your own fingers. Levi types random words on the iPhone's notepad application. Within moments of his first crack at an iPhone, my son, Levi, had figured out how to flip from one photo to another by flicking his finger across the screen. He understood with no coaching how to steer the simulated steel ball around the holes in the Labyrinth game by tilting the phone. He loves to type nonsense words on the notepad application using the virtual keyboard, deleting them once they've been read. In the three months since I got the iPhone 3G, Levi has learned to take photos, browse them, change the phone's wallpaper, and, unfortunately, turn off Wi-Fi and switch on airplane mode. The new Palm Pre and it's webOS (click the link below for screenshots of the SDK) have been getting a lot of press lately, most of it good. I've read a number of gushing, salivating reviews. I'm wondering why there's so much hype over the web-based apps for this phone. It's very similar to the web apps that were available for the iPhone - before the iPhone SDK was released. If you remember, people (users, pundits, programmers, etc) were furious that Apple was not allowing native apps - where's the outrage now? The Palm Pre looks like an interesting phone and the webOs and interesting platform, but it hasn't shipped yet and I haven't seen a timetable, other than later this year. Let's say it's six months. In six months, we might be seeing new offerings from Apple, Google and RIM that raise the bar for smartphones. If the delay is too long Palm risks putting out a phone that it passe' before anyone's even got it. The web apps were great, but how do you monetize them? And can you access these apps from an airplane? Lot's of questions left unanswered. I think it was a pretty uneventful MacWorld/CES year, so attendees, press, etc are looking for anything to spark a little excitement. Here's a great resource for students and teachers. Lot's of great stuff here and the videos are very well done. I'll be linking to this with my dynamics class this spring. I'm sure my students will love it! Khan Academy have over 700 videos ‘covering everything from basic arithmetic and algebra to differential equations, physics, and finance‘. Hosted on Youtube so they will, unfortunately, be blocked on many school networks! The videos are produced in a conversational style with Salman Khan using ordinary Microsoft Paint to replicate an ‘old-style’ blackboard. They are very easy to follow and seem to be limited to around 10 minutes so great for ‘bite’ sized learning. Here's "Solid of Revolution (part 1)"
Another great Common Craft video. This one on saving money. A short guide to how compound interest can help money grow over time. Whatever you teach (networking, computer science, or english) this 8-minute video is a great resource. I just got an invite for the beta of tilestack.com. Seems primarily a platform for building casual games through a web-based interface, although as you can see from the periodic table and piano below, it can be used to build a variety of interactive content. If you've ever used HyperCards on an old Mac, you'll recognize this approach. As you can see from the figure below, their long-term goal is to be able to publish "stacks" on multiple platforms, including the iPhone and Android app stores, Blogger and Wordpress blogs, a Mac widget and even in Facebook. If they're able to get user-generated content with ads onto all of these platforms, it could be a tremendous money-maker. 1) It is a web-based environment for creating interactive content. It is designed in such a way that it is useful and to the average computer user. The interactive content can be anything from a game to a slide show, to a database. 2) It is a collection of interactive content that can be viewed, modified, and embedded on a personal blog, website, or profile page. From Tom Bunzel, this is part of the Microsoft Office Reference Guide. While there are plenty of other resources to help improve your presentations, this could provide you with some useful information. I do like the idea of modifying your template so that you are forced away from the traditional title with bullets approach. Click through for the video. Want to make your next presentation stand out from the mundane? Follow along as I show you the tricks I learned at PowerPoint LIVE to create a clean and slick template, and use the new Picture Placeholders to put a powerful message into my slides, and avoid state titles and bullets. Great info for anyone interested in learning about OpenID. OpenID is different from how you log in today and will probably throw you off a little bit. We're here to help you learn what makes it useful and how to use it. Great interview. Click through to watch the video. Some friends have asked about my recent flurry of blogging. In addition to some new bloggimg tools I've been using, I've also been using a Jerry Seinfeld productivity technique. Yes, Jerry Seinfeld the standup comic. I read a few years ago that Seinfeld was asked how he was so prolific at developing new material. His response was that you had to write every day, no matter how you felt. Easier said than done! Seinfeld's technique for making sure he wrote everyday was to post a calendar on the wall and mark off every day he wrote. He turns it into a game - trying to keep the streak going as long as he can. If for whatever reason he misses a day, he just starts a new streak. So whether it's blogging, studying for a certification test, working out, or any other goal you're trying to achieve- start a streak! This iPhone app - Streaks - is a great tool to get started. One of the interesting devices announced at MacWorld that caught my eye. I love the little tripod and the ability to capture video wirelessly is great. Integrating advanced technologies, the BT-1 streams H.264 video and AAC audio, taking advantage of Mac OS X's rich multimedia capabilities to provide a truly seamless experience. Includes a flexible mini-tripod and USB charging cable. Requires Mac OS X 10.5 Leopard or newer and Bluetooth v2.0+EDR or better. 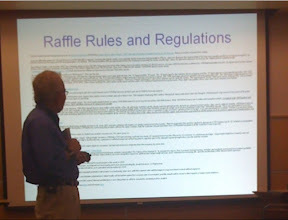 Gordon Snyder is famous/infamous for his text heavy slides. Here he pokes a little fun at himself. Sorry I couldn't embed this, but another video of Malcolm Gladwell discussing Outliers . It's great to see these pico projectors demonstrated. Having a cell phone or iPhone with a built in projector is a game-changer. Imagine being able to give an elevator talk with a cell phone projecting the image or explaining a concept to a student in the hallway. Click the link to read more and watch a brief video. one of the most impressive new technology introductions at Macworld Expo was hidden away in Moscone Center's North Hall: a tiny video projector the size of an iPhone. The highly mobile new projector was developed by Microvision, based on a new video projection technology called PicoP. Unlike existing display technologies such as Texas Instrument's DLP, which uses micro-mirrors, a high powered lamp, and a relatively large color wheel, Microvision's new PicoP uses three primary color lasers and a single aiming mirror. The result is a highly compact projection engine that the company hopes to eventually embed into a mobile phone. The functional prototype device the company was showing paired the tiny engine (lower right black unit in photo) inside an iPhone-sized package (left unit) housing a rechargeable battery and its supporting video circuitry. The keynote speaker at yesterday's MPICT conference reiterated the US's poor position (15th) in broadband penetration among developed countries. Many of us working in IT are hopeful that this will change in an Obama administration. This project in rural Alabama is the kind of initiative that needs to become the norm to make the US more competitive globally. Alabama officials have selected a Cincinnati company for a $1.7 million two-year contract to make Internet broadband service available in all areas of the southern state. Currently, dial-up Internet access is available using telephone lines in most parts of the state, but the service is slow and sometimes unreliable. Gov. Bob Riley said Monday his broadband project will make high-speed Internet access with cables or wireless connections available even in rural areas. He said customers will still have to buy Internet access from providers like cable television or phone companies. Riley said Monday the project would be funded mostly with federal grants. The contract with CostQuest Associates will go before the Legislature's Contract Review Committee for approval Thursday, but the committee can only delay contracts for up to 45 days, not stop them. The governor last year created a 34-member bipartisan committee to oversee the expansion of broadband coverage in Alabama. Riley said the committee chose CostQuest after being contacted by more than 2,000 potential vendors. Riley said in his home county, Clay, high-speed Internet connections are mostly unavailable in rural areas. 'It's depressing to see children go to school and have broadband available and then go home and not have it,' Riley said. Clearwire is moving forward with their WiMax rollout. The pricing seems pretty competitive - $40/month for 6 Mbps fixed residential download. Under Clearwire's three plans for fixed residential locations, priced at $20, $30 and $40 per month, consumers receive download speeds of 786 Kbps, three Mbps, and six Mbps. By contrast, unlimited mobile Internet usage costs $50 per month. However, cheaper $30 and $40 mobile plans are also available with 200MB or 2GB of monthly Internet usage. Consumers in need of both stationary and on-the-go capabilities can save up to $20 per month by subscribing to both fixed and mobile plans. A $10-per-day Clear pass is also available for occasional-use customers. Clear plans for fixed business locations -- priced at $55 and $75 -- deliver download speeds in the four-to-six Mbps range, as well as speedy one-Mbps uploads. Research In Motion Ltd. continues to hold the top spot on the ranking, with its Blackberry Curve models dominating the list every month since May. The company also grabbed two more spots on the list with its new Blackberry Storm and Blackberry Bold models, which debuted in the No. 3 and No. 5 spots on the list for November. Besides the Storm and Bold, other newcomers to the list were the HTC Corp. Touch Pro and Samsung's Behold model. Dropping off the list in November were the Blackberry Pearl (which was ranked on the list since early 2008), the HTC G1, the LG Shine and the HTC Diamond. Apple Inc.’s 3G iPhone was the top-selling handset in the United States in the third quarter, according to new data from NPD Group. The long reign of Motorola Inc.’s Razr handset — three straight years, or 12 consecutive quarters — is over. The Razr, in all its myriad models, slipped to the No. 2 position. Research In Motion Ltd.’s BlackBerry Curve garnered the No. 3 spot, followed by LG Electronic Co. Ltd.’s Rumor and Env2. Like Jing? You'll Love Jing Pro! Engineering/Technology - Math = What? Is Amazon Cheaper Than Your College Bookstore?